The super hero genre seems to be dominating this year and keeping the fading 2019 box office alive and well. 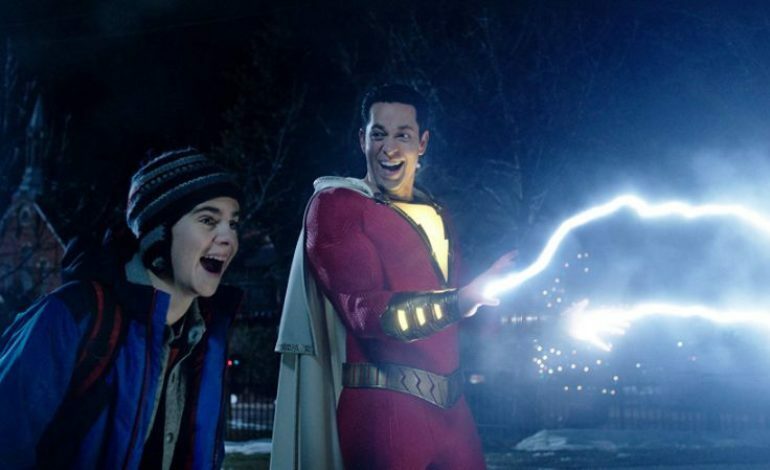 DC’s newest installment that takes a comedic turn is Shazam! starring Zachary Levi and Mark Strong. The film opened this past Friday and is already meeting expectations with the first day’s audience turnout. Friday night screenings for the film brought in about $20.5 million domestically with an estimate for a $53.7 million total for the weekend. It’s meeting predictions, though these numbers are markedly lower than the usual DC debut. Aquaman brought in $67 million and Wonder Woman surpassed $100 million both in their respective opening weekends. However, Aquaman did eventually earn over a billion dollars in revenue a few weeks into its theatrical run, so there is still time for Shazam! to prove itself a hero for DC. Reviews for the film have been better than most DC Comics films with an A CinemaScore and 90% on Rotten Tomatoes from both critics and users. As word of mouth gets around, we’ll see if the film continues to perform on track or surpass expectations. Its main competition this week is a only a moderate opponent, with Pet Sematary bringing in about $24 million. The reviews for this release are much lower with a B CinemaScore and Rotten Tomatoes scores around 50% approval. Check back for more box office updates as they come in for the final numbers of the weekend.